To celebrate the 30th anniversary of his iconic Tattoo Time series, Hardy Marks Publications will be releasing a deluxe two volume set of all five legendary issues available for the first time in hard cover. Priced at $50, this collection is a steal. Even if you have all of the individual issues (My copy of New Tribalism has gone missing!) this will be worth picking up. The impact of this series was astounding; when Tattoo magazines were published as part of a Biker magazine family, Ed came along and brought his ‘high art’ sensibilities to publishing; The New Tribalism, Tattoo Magic, Life and Death, Music and Sea and finally Art from the Heart all presented a snapshot at various disciplines of tattoo art. DeVita, Deustche, Higgs, Malone, Shaw… everyone who was doing something interesting in tattooing got the Tattoo Time treatment and a whole generation of artists were inspired. The set is expected to drop in early December, so check Hardy Marks Publications for more information! 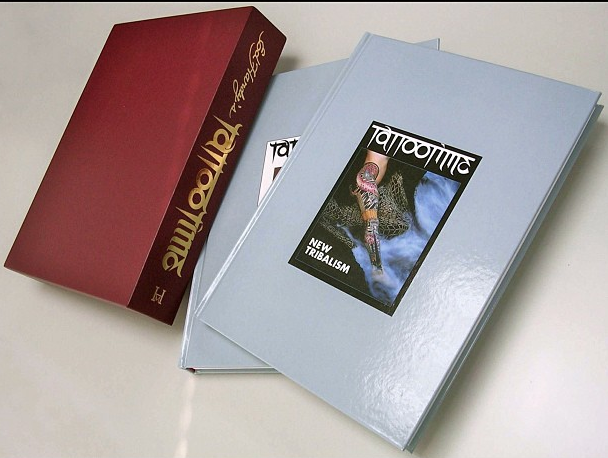 It’s a very exciting time for people who collect tattoo books; Yellow Beak Press preparing to ship the long awaited Zeis book and Hardy Marks is dropping a 48 page reprint of a 2002 Thom deVita portfolio. Normally I’d tell you why you should spend your hard earned money on something, but in the case of these two… just buy them. I assure you that you’ll regret not picking them up once you see that dreaded SOLD OUT. 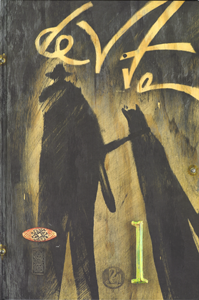 I have a feeling that there’s going to be a renewed interest in deVita’s work this year…. The original loose-leaf portfolio, that is replicated by this book, was made in an edition of 30 copies. It was housed in a hand made (by me) wooden box and the lid was held on with wing nuts and a clevis pin. The entire box, inside and out, was painted by deVita and me and was decorated with various wooden and metal fixtures. The contents consisted of 5 essays a number of lithographs, four photographs printed from the original negatives and 4 original works of art by deVita totaling 32 pages. Each portfolio was slightly different given it’s nature. I began working on this book in the fall of 2001 and I published it on its completion in Pittsburgh Pa. in the spring 2003. Thanks, Nick Bubash. Pittsburgh Pa.
A Manhattan native (b. 1932), Thom deVita showed at open-air art fairs in Washington Square Park In the 1950s and mingled with famous New York School painters at the Cedar Tavern. 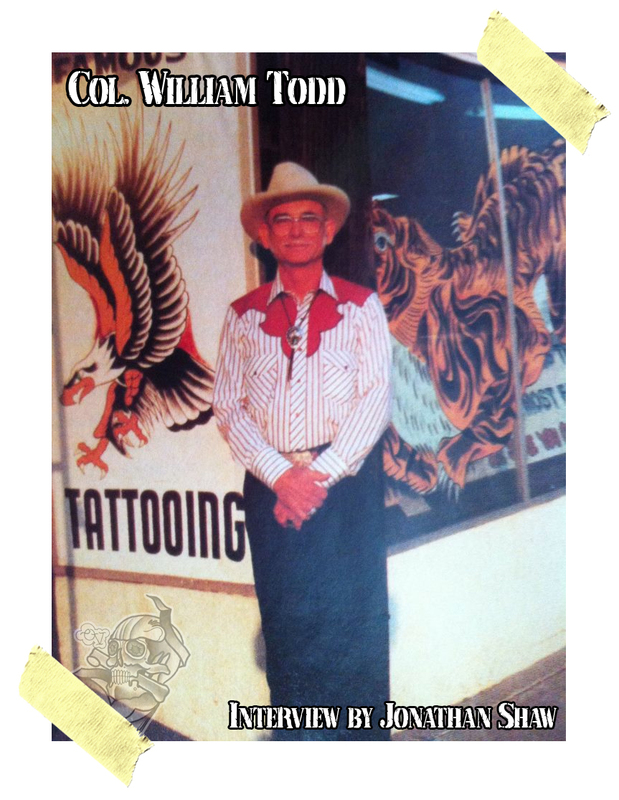 Interested in tattooing from an early age, he began tattooing in the 1960s soon after it was declared illegal in all the boroughs of New York (the ban was finally overturned in 1997). Although he pursued that as an underground career for nearly forty years, he continues to work in drawings, montage, and constructions. 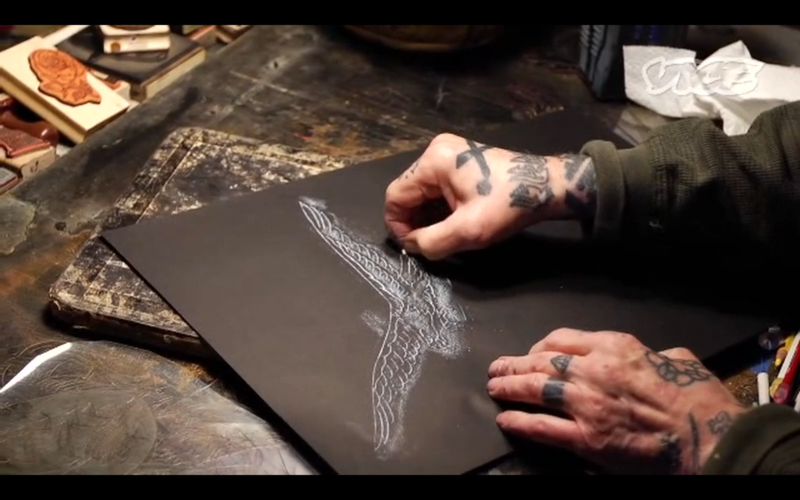 deVita’s bootleg tattoo studio apartments were densely-packed installations of found art and objects, assemblages, works on paper, wood, and photographs. This complex and inclusive work/live environment, mixing history and cultures, transcended boundaries of High and Low, Art and Craft. deVita’s tattoo customers became moving visual components in the living assemblage of the city. As Willem deKooning, Franz Kline, and Joseph Cornell—all artists he admires— drew sustenance from sights and objects encountered on the streets, de Vita brings seeming chaos into a personal and mysterious order. All elements are combined and transformed to create a swarm of dark visual jazz.